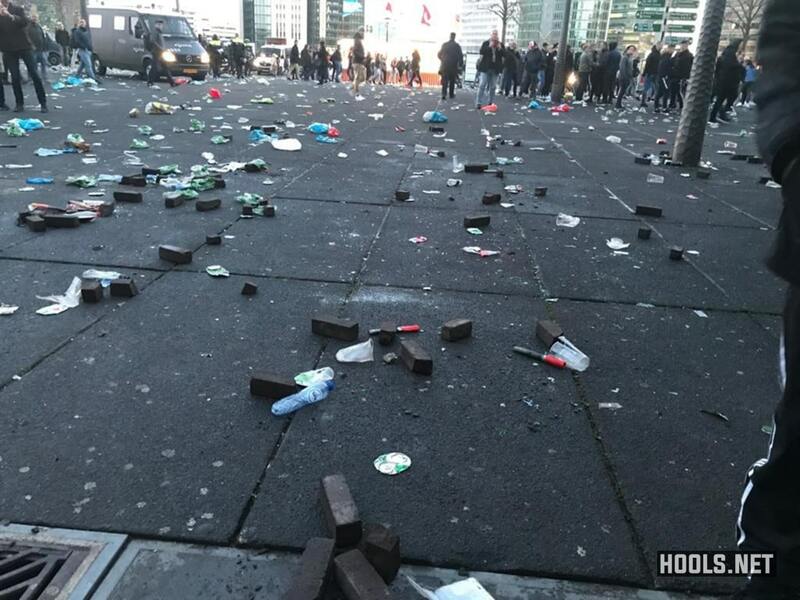 Ajax fans clashed with cops outside the Johan Cruyff Arena ahead of their match against Juventus on Wednesday. 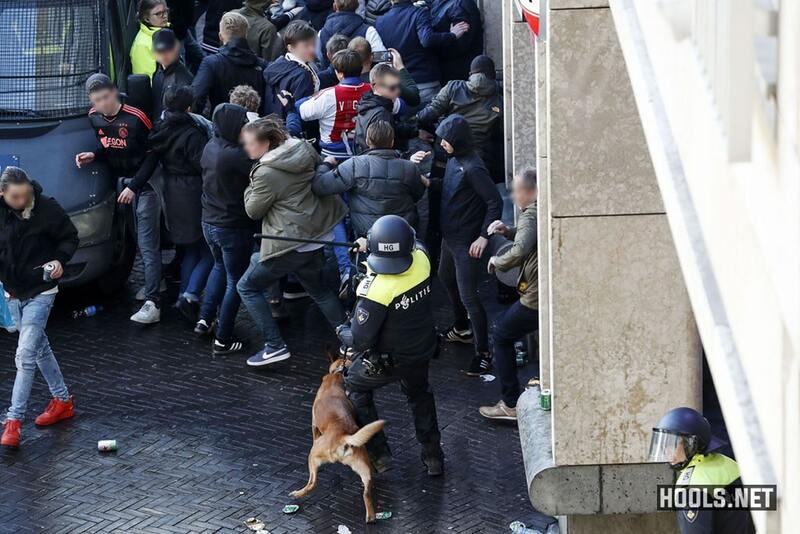 About two hours before kick-off, a massive horde of Ajax fans were seen singing and chanting outside the stadium. 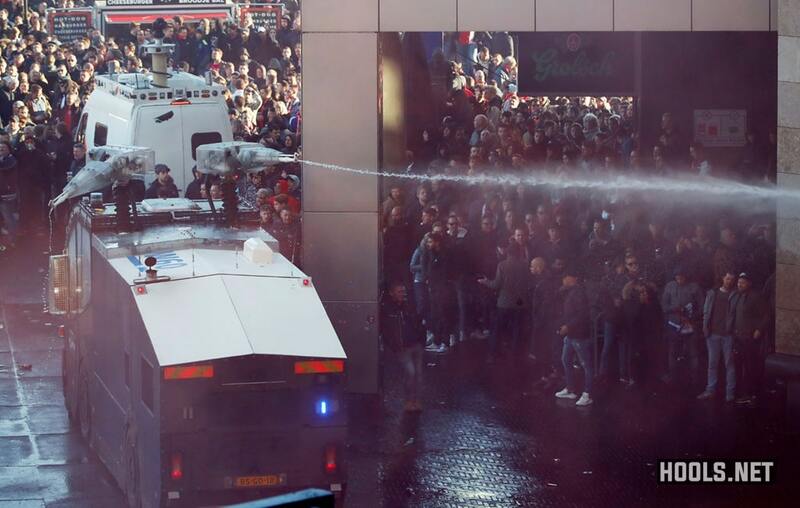 But when they set off flares, the police deployed water cannons and tear gas. 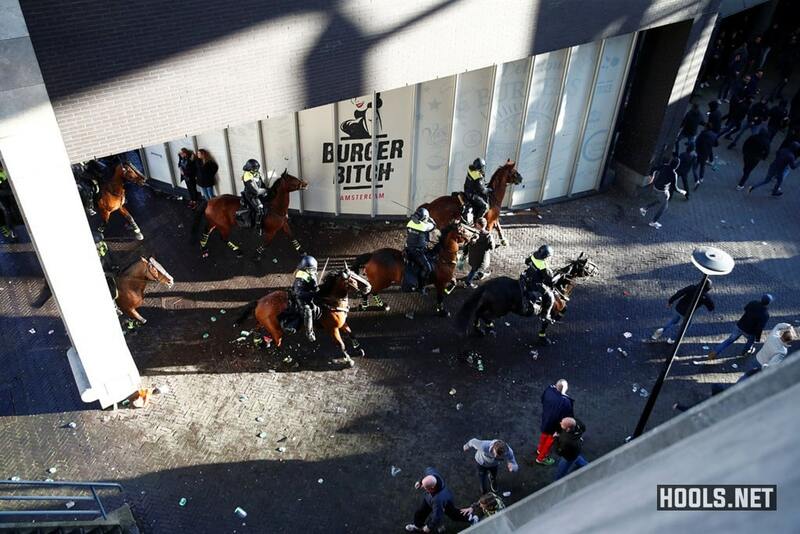 In response, some fans started throwing rocks and flares at the water cannons and police vans. 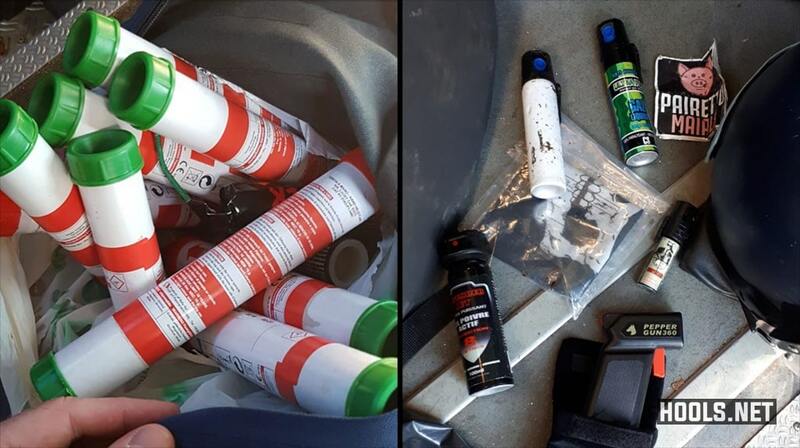 More than 30 arrests were made. 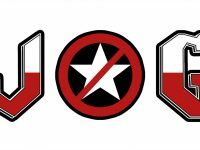 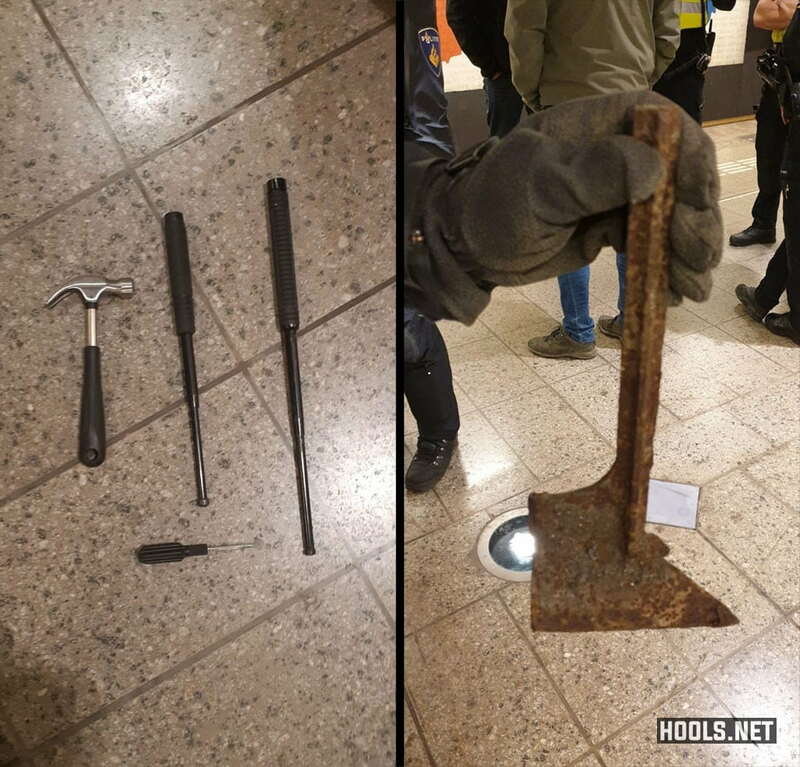 Earlier in the day, Dutch police reported that dozens of Juventus fans had been detained in the city centre, and items including batons, flares, pepper spray and a hammer were discovered.